Founded by Johns Hopkins University, the “Meatless Monday” campaign counts among its fans Michael Pollan, Sheryl Crow, and Paul McCartney. From Baltimore Public Schools to the city of Ghent, Belgium, the eat-less-meat buzz is spreading worldwide. With reports about the ill effects of consuming too much meat — for us, and for the environment — The Meat Lover’s Meatless Cookbook speaks directly to lifelong meat lovers who know it’s time for a change but need an accessible and nonthreatening guide to wave them into the kitchen and get them started. 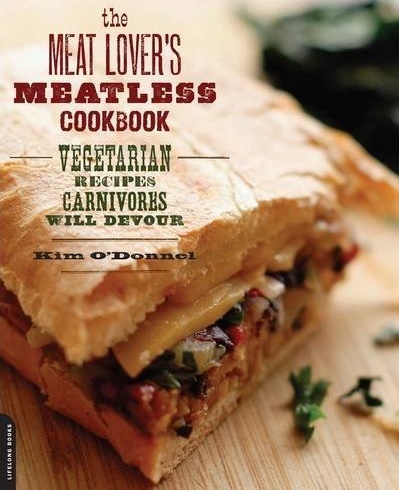 Written by a fellow meat-lover who can relate to the challenges of dietary change, The Meat Lover’s Meatless Cookbook dishes up 52 tasty and satisfying meatless menus — one per week — that mirror the do-able, incremental approach recommended by environmental and medical communities.